At Tech, the wide cultural diversity on campus encourages opportunities to showcase important cultural traditions. The Indonesian Student Association (ISA) did just that when it presented Batik Festival 2013 this past Friday at Klaus Atrium, exhibiting a variety of food, trivia and fashion from traditional Indonesian culture. The festival celebrated the passion, patience and skill behind the art of Batik, a traditional Indonesian dyeing technique that has been used for thousands of years to make fabric and clothing with patterns that relate to various aspects of nature. Prior to the event, ISA held a competition in which students could design and submit their original patterns to be judged for prizes. Five finalists were chosen to present their designs on Friday to an audience of more than 60 students at the festival. A highlight of the event was the fashion show that was held to showcase each of the finalists’ designs. The submitted designs were printed on scarves, which were worn by friends, students and even professors that the designers had chosen as their models. Guests present at the event were then asked to cast votes, which were counted. At the end, the voters’ choice winner was announced to be Megan Houlihan, who won $100 in prize money. “My pattern is supposed to have an earthy, tribal feel to it,” Houlihan explained when she presented her design. The evening began with a few students singing songs and playing guitar, while guests enjoyed a variety of Indonesian foods including chicken with traditional sweet soy sauce, egg, tofu and a chicken sauce. Shortly after, ISA members presented a trivia game and handed out clothes and stationery with Batik designs as prizes as a way of further educating and immersing attendees in Indonesian culture. A video was also shown as a presentation of the United Nations Educational, Scientific and Cultural Organization (UNESCO) when it commemorated Batik as an official Heritage of Humanity on October 2, 2009. Since that date, members explained, Indonesians have been hosting festivals such as these to continue celebrating the pride held by the community through their heritage and traditions, officially declaring it Indonesia National Batik Day. ISA decorated the room with different fabrics and ornaments depicting Batik designs. The pattern is from the region of Cirebon. Members also explained the inspirations behind many of the patterns, such as depictions of rice paddies or poppy seeds. Many of the members of ISA putting on the event wore Batik clothing as well. They explained that the tradition and design has expanded to cover a more modern audience. Batik clothes that were typically one piece of fabric that are generally worn on special occasions have now grown to include shirts and blouses, dresses, pants and other garments. In many ways, this represents the integration of traditional Indonesian clothing into modern fashion. Designs were also shown in pillows, curtains, cloth and other decorative items, showing the versatility of the tradition. During the voting, the festival also featured a traditional Indonesian dance. The two performers are part of a dancing group that is based near Atlanta and travels to various cities. 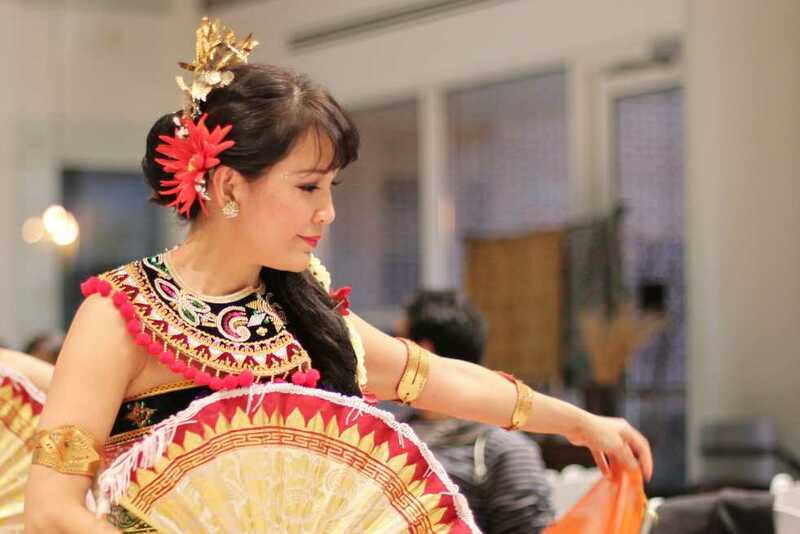 ISA is involved with many other cultural events throughout the year, including Indonesian Fall Fest and more recently a Chinese New Year Dinner. “We really just want students to come out, join in and learn about culture,” said David Tjeng, ISA president.